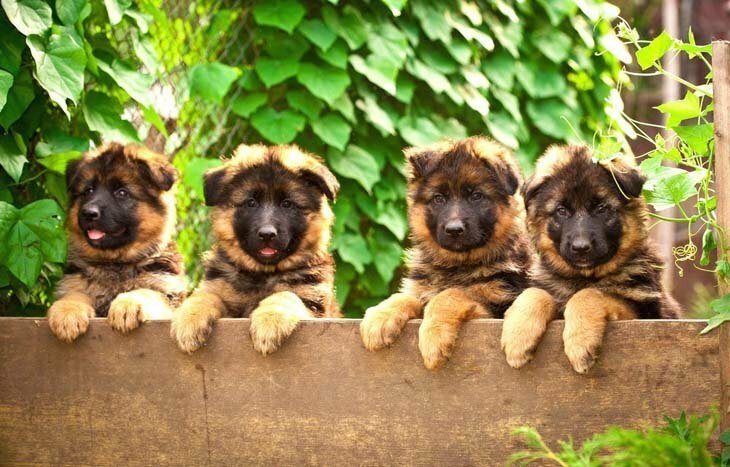 German Shepherd dog names should be creative and big to fit these good natured pups. If you have enough room to keep a larger dog, and you are in the process of finding a suitable name for this breed, you will find a list of creative ideas for your pet below to choose from. 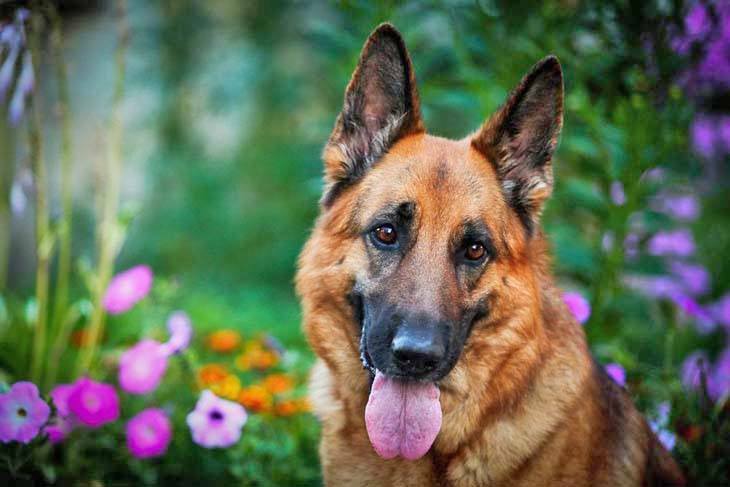 German Shepherds are an excellent family dog. These pooches are very strong and can perform any tasks that are required of them. They’re also known to display a good deal of common sense as well as intelligence, and they make great companions. 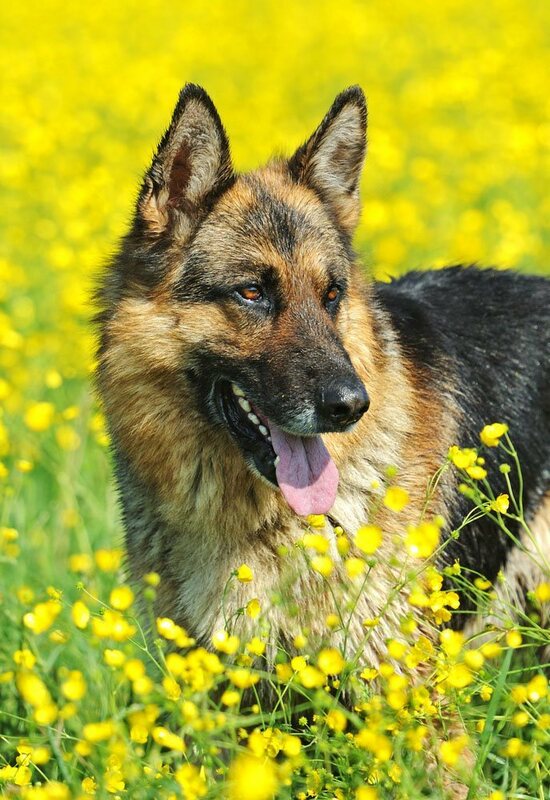 One of the things owners like most about this beautiful German Shepherd breed is that they’re easily trained because they are so smart. Not to mention they’re good as well as intimidating when it comes to be being a watchdog. And it’s because of these and other virtues that we feel they should have their own names page dedicated just to them…and here it is! Bear: This moniker is perfect for your German Shepherd, since he will remind you of a big, loveable Teddy Bear. Bear is a very good pet, and he is very good with children. A really cool choice for your intelligent pal that aims to please. Dakota: This German Shepherd dog name would work well for your wonderfully smart companion. When you are feeling down, you can always count on this big girl to try to make you smile, and don't underestimate her, she can do it. Freedom: Give this moniker to the dog that is very open to new ideas and a lover of freedom. Freedom is curious and intelligent by nature and will always be exploring people and places in her quest to learn. Hunter: Hunter is a generous, amiable, positive natured German Shepherd that has a deep sense of kindness and compassion. This boy dog is highly tuned into everything around him, including the feelings of others and those who are up to no good. Java: Gentle with a courageous side when the situation calls for it, Java is a really nice German Shepherd to have around the house. Although he is normally friendly to everyone he meets, he can be quite protective of his family. Max: Max is a creative German Shepherd dog name for a pup like yours. This pooch is a calm, patient dog that is mild with guests, and obedient to his master. Max is also very devoted, loyal and trustworthy. Nevada: Gentle and patient nature, Nevada is the name for your sweet and loveable dog. Although this girl can be deeply and completely absorbed into her environment, she is just checking to see if all is well with her surroundings. 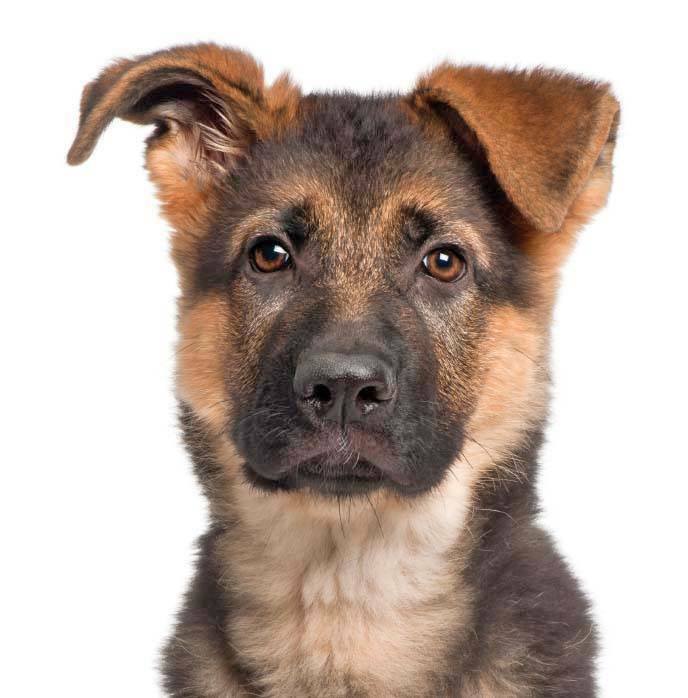 Sarge: Choose this German Shepherd dog name for the pup that is always in command and is looking out for things. Sarge has an uncanny sense of perceiving what a person wants or needs, and will always deliver it. Scotch: Scotch is a cute idea for your big dog that is often intensely interested and skilled at a wide variety of things. This naturally skilled German Shepherd boy will always be looking out for somebody to save. Shadow: This would make a good identifier for the dog that is not flashy or fiery, but possesses an uncommonly observant nature. Backed by a steely reserve and remarkable will power, this pooch is capable of protecting her master when the situation calls for it. Sky: Sky is a creative German Shepherd dog name for the pooch that has a great love for the outdoors. Patient, playful, and loving with children, Sky enjoys the outdoors and is always creating great big waves in the water. Titan: This is fitting for the German Shepherd that possesses a strong integrity. This pooch holds his own definition or opinion of what is right and wrong so don't be surprised if she abjectly refuses to follow the crowd.